Zolo The Girlfriend Cup Cerise. The Zolo range gives a fresh and funky look to one of the oldest activities known to man There are seven Zolo Cups, each with a shaped, nodule inner chamber for the most intense stimulation. 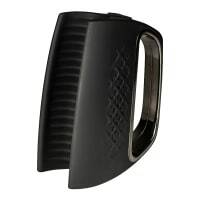 Design Features, Zolo Cups feature an ergonomically designed outer case that contours to the hand for a better-controlled grip. Zolo Cups proprietary, real feel material is soft and warms to the touch for unique sensations that are even better than the real thing. Some like it tight, others like it loose. Whatever suction you want, Zolo's air control feature adjusts for your desired tightness. Buy Zolo The Girlfriend Cup Masturbator from SexToys123 and get free discreet delivery on all orders over £30. Why are Fleshlight Masturbators so Popular? Each Zolo masturbator is design with a different sensation in mind. Bring your masturbation game up a step with the pleasure devices.